The Colonial Inn MotelRecord Owner? Log in. The motel has 12 units. We offer full baths, large rooms, pets welcome, walking trails, in room coffee. In room refrigerators, major c/c including debit accepted. close proximity to Ohara Mill, Moira Lake, Jarvis Lake, and Greensides-Place of Prayer, also good hunting, fishing, ATV trails, snowmobiling. 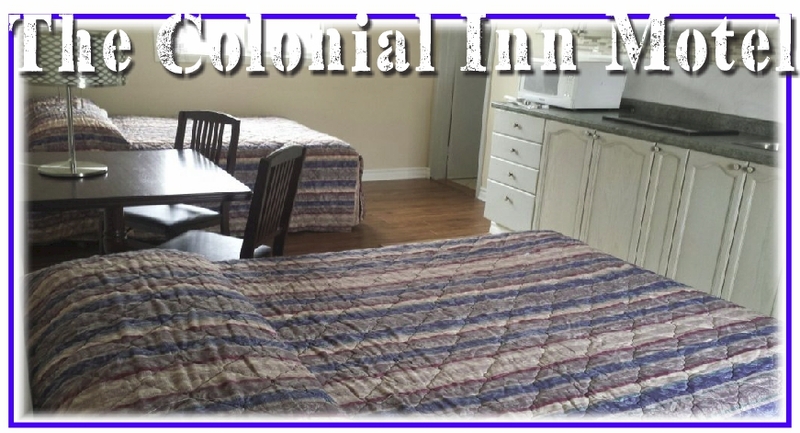 Have something to say about The Colonial Inn Motel?